Bitterness was so insidious that I didn’t realize just how deep it had seeped. There was a season in my life where I was having an immense amount of difficulty letting go of an offense. I held onto, replayed it, recalled with vivid detail the hurtful words and expressions that were communicated. As the Lord began to reveal to me the reality of my anger I knew I needed to repent and resist, but I was not sure what exactly I needed to do. Through seeking godly counsel and now through offering counsel on these same kinds of situations I have learned what practical steps we can take to fight against anger. A focus on contentment, control, and communication will help us address anger before it bursts to the surface. In other words, we need to slow down, sit down, and calm down. We should not think that because we are going to discuss a practical MAP (Ministry Action Plan) that we have some how moved on from the spiritual components of this problem. There is always a temptation to think that this is what we really need, the practical stuff, and that the spiritual elements are just details. There is no hope for change apart from God and His Spirit in us. We put to death the deeds of the flesh by the Spirit (Rom. 8:13), not by the power of our own will. The other pieces to this equation are foundational and apart from them the practical steps will mean nothing. It is possible to change your behavior and keep your anger from bursting to the surface but all the while never really working to address the heart of the matter. This will not stop your anger, and will likely only keep it buried for so long. Our action plan is going to target these three key areas: contentment, control, and communication. They will not eradicate our anger alone, but as we take practical steps in these areas to address our life as a whole we will see our anger become more manageable and possible more infrequent. I have often spoken of them more helpfully as the steps slow down, sit down, and calm down. A brief word about each and some of the practical things to begin developing is warranted. Slow down. Contentment plays a huge role in helping to defeat anger. If James teaches us that anger arises because of unmet expectations than one of the best things we can begin to do to work on our anger is to address our expectations. Live simply. The reality for all of us is that there are only so many hours in a day, in a week, in a month, and in a year. Our tendency is to try to fill our lives with more than is reasonable. In a 24 hour day we want to accomplish 36 hours worth of activity, and when we are unable to accomplish all that we wanted we become irritated and frustrated. Taking the time to slow down our life can go a long way to decreasing our frustration. Along with looking at your own life and schedule think about the people who feed your anger. 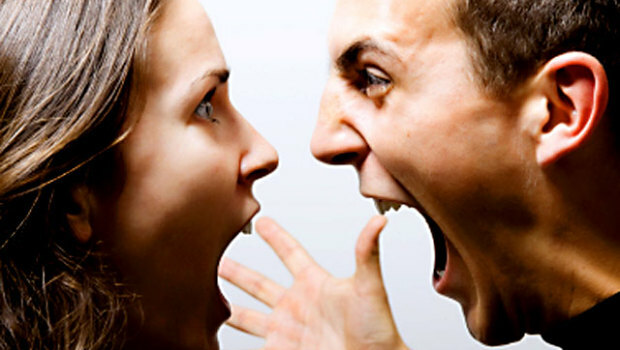 You need to start limiting your interactions with other angry people, with other irritable and pessimistic people (Prov. 22:24). You might not be able to cut them out completely, nor should you, but limiting your interaction can go along way towards helping you to slow down, find contentment, and enjoy a more simple life. Sit down. We cannot completely avoid conflict in our lives, so it is important that along with seeking contentment we seek self-control. We need to develop habits that will help us to diffuse our own emotional responses. One of the best practical steps you can take in this regard is force yourself to sit down when you feel anger rising up. Forcing myself to sit down immediately limits the amount of energy I am going to exert in this situation. When I am standing up, trying to tower over another, pacing the floor, waving my hands about, then I am likely to heighten the intensity of our situation. Large muscle movements tend to activate the adrenal system, and when adrenaline runs high it’s hard to keep control. Sitting down allows me give pause and remind myself that I must be in control of my emotions. We need to take deep breaths. Particularly take deep breaths in your through the nose and out through the mouth. Our bodies are designed such that one of the ways our internal warning system gets activated is through the nasal cavity. When the nasal cavity gets hot it activates that same adrenal system. So help yourself to develop self-control by breathing right. Finally, Calm down. Here we are going to focus our attention on communication. Calming down isn’t just about my body it’s about my words. To help with effective communication I need to think about what I say, how I say it, when I say it, and what results I want. In situations of interpersonal conflict where anger begins to rise and tension begins to build it is extremely helpful to clarify both in your own mind and in the actual conversation what specific issue you want to address. Remind yourself and the others involved what the problem is. When we jump from subject to subject, and bounce around we will fail to accomplish anything in our argument. Instead we will build bitterness and resentment for every thing that has ever gone wrong. Focusing our energy on the real problem will help us to communicate better. I also need to represent another person in tone and content. A sign of respect, of self-control, and of good communication is how I represent the words and intent of others. When I respond to another person by mocking their tone, raising the volume, mischaracterizing their intent or their words I am allowing my anger to control my situation. Good communication seeks to clearly understand the other person and respond to their intentions, not just my perceptions. Finally, we need to choose carefully when we and how we start tense conversations. Recognizing that some conflicts can’t be avoided, we need to do our best to be sensitive to one another and to the situations in which conflicts might rise. If I am tired, if the other people involved seem tired or stressed it is probably not wise to start a tense conversation. The worst times to have heated conversations are when my spouse and I are getting ready for bed, as soon as we walk in the door, after a long day, or when we will have insufficient time to discuss the matter. Be sensitive to your context. We can exacerbate tensions by trying to have hard conversations at bad times. Sometimes these conflicts can’t be avoided, and so we must look to the other practices to guide us, but where we can avoid it we should. Think about your contentment, control, and communication as you start to develop an intentional action plan. When are you most tempted to conflict, where are you most tempted to conflict, how are you most tempted to respond? Answer those questions and begin to implement strategies that will help you to slow down, sit down, and calm down so that you can better fight anger.